A child whose parents read to her, starting from birth, is more likely to do well in every area of life. She’ll start school with better language skills, find it easier to make and keep friends, feel better about herself, stay in school longer, and do better, both personally and professionally. That’s why the American Academy of Pediatrics is now asking 62,000 pediatricians across America to talk to parents about the importance of reading. Many American doctors are now telling parents to read aloud to their children from birth on, and they’re also showing them how to do it. The American Academy of Pediatrics has decided to do take this initiative because of growing evidence of the contribution of reading to brain development, social intelligence, and language skills, particularly in the first three years of life. So every time parents visit a pediatrician in the US, they should now be getting information about the importance of reading, along with some ideas for how to make the most of reading time with their child. In many doctors’ offices, they’ll also be getting some high-quality age-appropriate books if they don’t already have them. The AAP’s new policy asks its members to tell parents to “read together as a daily fun family activity,” from infancy on. The AAP had previously issued recommendations on how long mothers should breastfeed their babies (one year or longer) and how long parents should keep their kids away from screens (television, videos, tablets, etc.) (at least two years), but this is their first recommendation on the importance of daily reading. One of the concerns underlying the new reading policy is the increasing prevalence of screens in children’s lives. More and more parents have been handing their kids screens instead of reading to them, not realizing that videos can’t do all the important work of storytelling, and don’t yield the same benefits as reading. A key reason that reading is such a powerful force in kids’ development is that they’re doing it together with their parents. Reading a book is a shared experience, one that parents can fine-tune to a child’s age, energy level, interests, mood, and imagination. 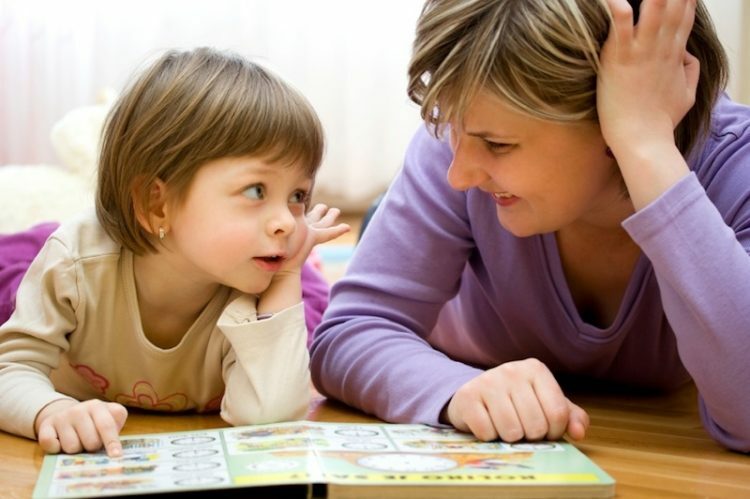 Reading—in combination with talking, playing, and singing—is the best way to increase the number of words a child hears and learns in the early years. And the number of words in a child’s vocabulary makes a difference to how ready she will be for school, how quickly and well she’ll learn to read and write and think, and how well she’ll do in school over the long term, all of which makes a big difference to long-term outcomes, both personally and professionally. There are several organizations working toward increasing reading in children’s lives. These include the Children’s Reading Foundation, which recommends that parents spend twenty minutes a day reading to their children, and has chapters throughout the United States. Reach Out and Read is a nonprofit literacy group (20,000 pediatricians across the US) that gives books to low-income families. It’s working with Too Small to Fail, a joint effort between the nonprofit Next Generation, and the Bill, Hillary, and Chelsea Clinton Foundation, aimed at closing what’s been called ‘the word gap’ between wealthier and poorer families. In Canada, Heather Reisman’s Love of Reading Foundation has given more than 17 million dollars worth of books to 1600 school libraries across the country. Frontier College runs Family Literacy activities in many of the most literacy-challenged communities across Canada. One of their activities is Reading Circles, places where children and volunteers get together to enjoy books and stories once a week for an hour. Why is reading to your kids a good habit to start early and continue into childhood? 1. Building your relationship. Reading together might be one of the only times your child has your full attention, and (as time goes by) one of the only times you have your child’s full attention. 2. Building a bigger vocabulary. Knowing more words is associated with better language skills, and earlier and easier reading. 3. Motivating the desire to read and learn. Reading to your child makes him want to learn to read for himself, which greatly increases the likelihood of school success, which helps him grow into a happily productive adult. 4. Stimulating conversation. A book can always provide something to talk about, even with an infant. 5. Establishing a bedtime routine. A reading ritual helps you establish a bedtime routine, which has big benefits for your child’s health, well-being, and learning. 6. Increasing focus, memory, and concentration. Reading books together is a great way for your child to exercise her brain and develop skills that are useful in every area of life. 7. Stimulating imagination and creativity. Reading a book gives space for a child’s imagination in a way that stories told on screens can never do. 8. Expanding your child’s world. Children who would never have thought of being scientists, astronauts, cooks, and authors, can find role models in books they’d never have encountered in their normal lives. 10. Nurturing self-discovery. In books, a child can find others who think like he does, or who cope with challenges he thinks are unique to him (like being deaf, or dealing with mental illness or loss). This can be a catalyst for him feeling okay about himself, and discovering the strength in his own unique way of being. Frontier College. Literacy - learning for life. Beyond Intelligence is a parents’ guide to raising intelligent and happily productive kids. It’s a book about helping children become the strongest, most confident, happiest, and most successful people they can be. In a fast-paced world, it is more important than ever that parents understand the coping skills their children will need for resiliency and success across the lifespan. Using current research findings, we have written what reviewers are describing as a reader-friendly parenting companion that helps parents nurture their children’s abilities at every stage of development–from diapers to diplomas. Dona Matthews, PhD, has been working with children, adolescents, families, and schools since 1990. In addition to running a busy private practice, she was the Executive Director of the Millennium Dialogue on Early Child Development at the University of Toronto, and the founding Director of the Hunter College Center for Gifted Studies and Education, City University of New York. 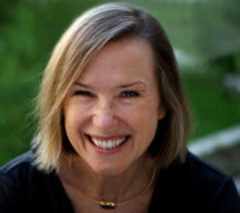 She has published dozens of articles and book chapters, and is the co-author of Beyond Intelligence: Secrets for Raising Happily Productive Kids; Being Smart about Gifted Education; The Development of Giftedness and Talent across the Life Span: and The Routledge International Companion to Gifted Education.